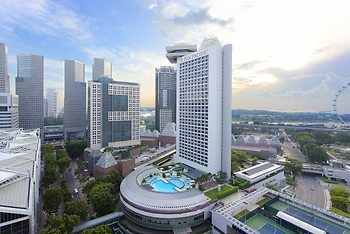 Hotel Pan Pacific Singapore, Singapore, Singapore - Lowest Rate Guaranteed! With a stay at Pan Pacific Singapore, you'll be centrally located in Singapore, steps from Marina Square and 10 minutes by foot from Singapore Flyer. This 5-star hotel is 0.4 mi (0.6 km) from Suntec City and 0.5 mi (0.9 km) from Raffles City. Everything, especially the free internet. The hotel was great, facilities are brilliant especially the gym equipments are perfect for a hotel and hotel reception adn services are fantastic. Will definitely stay in this hotel again in the future. The room was big and very comfortable and especially very clean and neat. Also the location was perfect. Lot's of malls and food court. HotelsOne.com - Safe and Secure! Your reservation is absolutely secure. SSL encrypts your credit card number, name, address, and telephone number before they travel over the Internet. This makes doing business over the Internet as secure as purchasing by telephone. SSL safe connection and secure transaction technology has effectively protected hundreds of thousands of HotelsOne customers who have transmitted their credit card numbers online and made a purchase since we launched. Your credit card is safe on HotelsOne.com!